Just a reminder that the store will be closing soon. Don’t forget to order. Remember you always need extras! 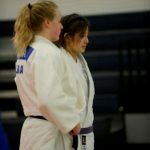 John has worked hard on getting us Spokane Judo clothing and stickers and it is finally ready. 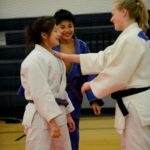 Everyone who has ever wanted to advertise their connection to Spokane Judo now has the chance. Just order early and often. 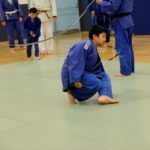 Make sure everyone you know can see your connection to the great sport of judo. And again, thanks to John for making this happen. 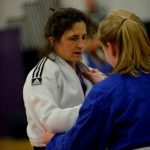 volunteers will attend an instructional classroom session reviewing bracketing, referee points and hand calls, and computer scoring. 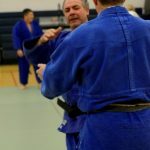 Spokane Judo is once again proud to host a Nage No Kata clinic taught by Senseis Mike and Delynn Purcell. 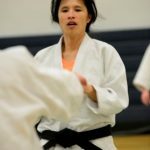 This is a great opportunity to begin learning Nage No Kata or to refine your existing mastery of the kata. We are truly fortunate to have two of the best instructors anywhere offer this clinic. This is a one day event on Saturday Nov. 17. Registration starts at 8:30. If you are interested in attending please email Brett Lewis or call (509)995-6434 to let us know. The waiver can be downloaded here.